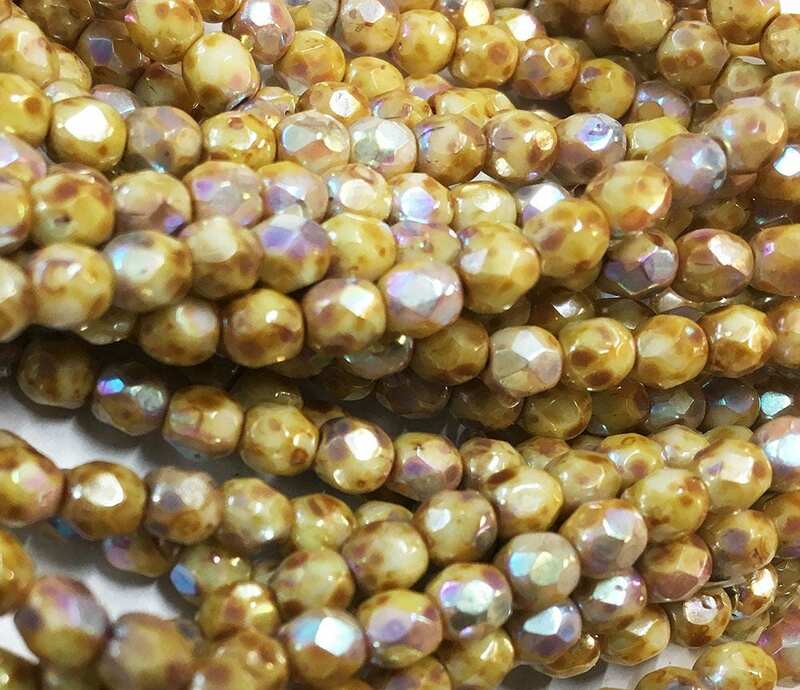 Stone Picasso Light AB Preciosa Czech firepolish crystal beads measuring 4mm. Add some sparkle to your jewelry creations! We have lots of firepolished crystals in many colors. Watch for new listings. If you would like more than one strand of these, I can do a custom listing for you!